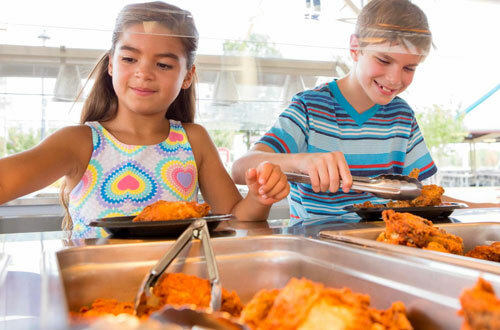 Reward the hard work of your marching band or performance group with a unique performance opportunity AND a day of rip-roaring FUN at Kings Island! Our Performance in the Park program is a superb chance for your students to share their talents in an exciting environment with thousands of spectators. Our guests love music in the park, so bring your students to be a part of the fun! 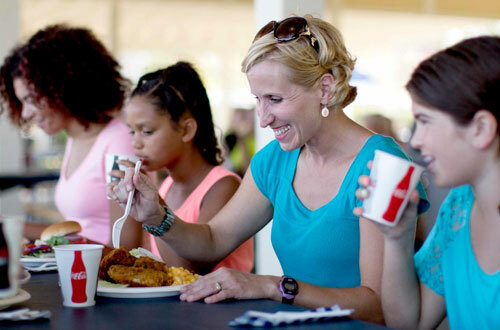 While not performing, your students can cut loose and enjoy all the benefits of a fantastic day at Kings Island. Let them take in all the world-class rides, attractions and live shows while making memories with friends that will last a lifetime. To add on a catered event, contact your sales rep today! Instant Audience - Performing at Kings Island lets your group perform in front of a built-in audience...our guests! Play All Day - Performances are booked in the morning so that you can "play" all day long on our rides and attractions. Parade Through the Park - Marching bands can now parade through the park, with an optional stand in place performance in front of the Eiffel Tower. Discounted Admission & Meal Options Available - With your performance, you group is eligible for great savings. Performance groups must be preapproved and arrangements must be made in advance thru our Group Sales Department. Groups must consist of at least fifteen (15) members and must be performing for educational purposes. Each performer and their assistants/guests must have a paid park admission ticket or a season pass for entry into the park. Kings Island does not provide a changing facility, storage area for equipment or transportation into the park. Our program is ideal for marching bands, choirs, orchestral, color guard, dance, and cheer groups. Absolutely no tumbling, stunting or gymnastics unless performing on gymnastic mats that are not provided by Kings Island. Program available any public operating day before Labor Day. Bus parking is free. Bus drivers will receive a complimentary admission ticket when presenting their Commercial Driver's License (CDL) and original toll booth park receipt at the Group Sales building (does not include meal options). Non Bus parking will be $12 if purchase in advance or prices may vary on the day of your visit. Add Even More Fun and Food to the Day! Enjoy an entrée, a side, and fountain beverage at participating locations. Enjoy an entrée and side every 90 minutes at participating locations. All Day Dining doesn't include beverages. 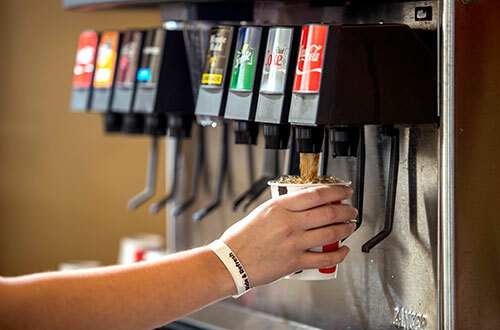 Stay fueled with unlimited Coca Cola fountain beverages all day while you're with us. Our al-la-carte menus are customizable to please every palate. Our event coordinators handle all of the details allowing you to enjoy the day.